When you think of Michigan, many people think: Detroit, Auto Industry, inland lakes, The Great Lakes, Furniture industry, and many other things. The Detroit Institute of Arts is another special gem. The first time I visited the DIA’s Rivera Court, I was stunned! This huge gallery is filled with murals. 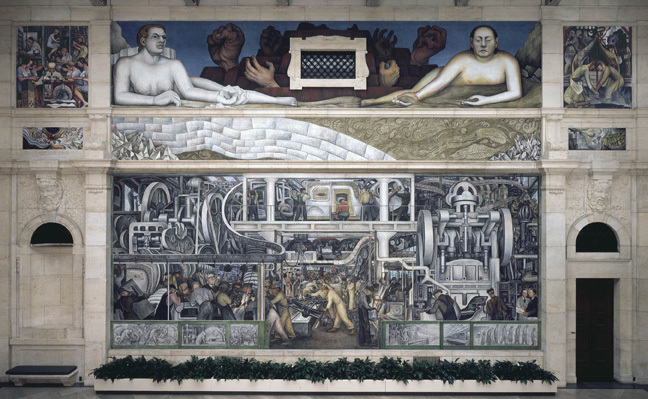 Diego Rivera’s detail and imagination are amazing.